Here you will find a growing collection of the recipes I and others use to follow the core program and lose weight quickly and steadily. These dishes are easy to cook and adapt to your whole family. See Recipe List Below.The recipe featured below is just one of many weight-loss staples I like to keep in my refrigerator. You can find the rest of the recipes by selecting the recipes category at your left, or you can get there from here, as well. My Every Day Diet Core Program consists of the things you eat to give your body what it wants first, before giving yourself what you want. And doing it every day is the key component of getting your body to let go of the fat while retaining and even replacing lost muscle tissue. If you have read my book and are following the core program, the recipes here will help take the frustration out of cooking for reducing. You don’t have to measure and count when you use these recipes. Just have what is for you, a reasonable serving and enjoy. 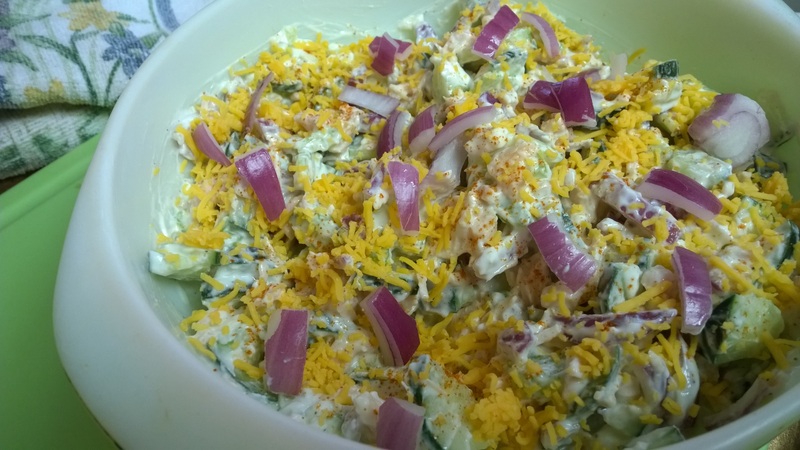 The first recipe published here is for my chicken salad. I like this one because it is so easy and fast. You can customize it to your own liking with spices and vegetables, and eat it as a protein serving on a salad, brown rice cakes, or with cooked vegetables. Heck, I’ve even eaten it plain, as a one-dish meal! One thing I am focused on with my recipes is to give you options for easy recipes that you can whip up in no time and have a delicious and healthy meal your whole entire family will love. One of the most difficult barriers to success in weight loss is to get your family to eat healthy food with you, or to cook a separate meal for yourself. Nobody wants to have to cook two separate meals. The recipes listed here are designed to both work with Nancy’s Core Weight Loss Program, and to fulfill the rest of the family’s wishes for great tasting food using ingredients everyone loves. When I began developing my favorite weight reducing recipes, I served them to family and friends, and virtually nobody even suspected they were eating diet food. And that is the beauty of this core program: you are eating regular food, just in a healthy way. Pay attention to the recommended package sizes for food ingredients that are recommended in the recipe. When working with new tastes or ingredients, add small amounts at first, then taste, and add more if you wish. For example: if you have not yet tried kale, buy a small amount, and add just a few snippets of chopped kale as an addition to your tossed salad, using more as time goes on. Read my post about cooking without measuring. This article will give you information as to how to season and create dishes with very little measuring. Realize that cooking healthy food for yourself and your family does not have to mean you must have the skill level of a professional chef, nor does it mean that you have to serve it on fancy dishes, or a table set like one of Martha Stewart’s party tables. Accept the fact that you may have some cooking failures. It is a part of life and the learning process. I do suggest, however, that the first time you use one of my recipes, you make a small batch, just to see if you like it. Later, you can double up the batches and store for future use. Spanish Rice With Beef (This one will take you to an article I wrote for HubPages, and will open in a new tab).